Reservation will end on 4/19/18!! 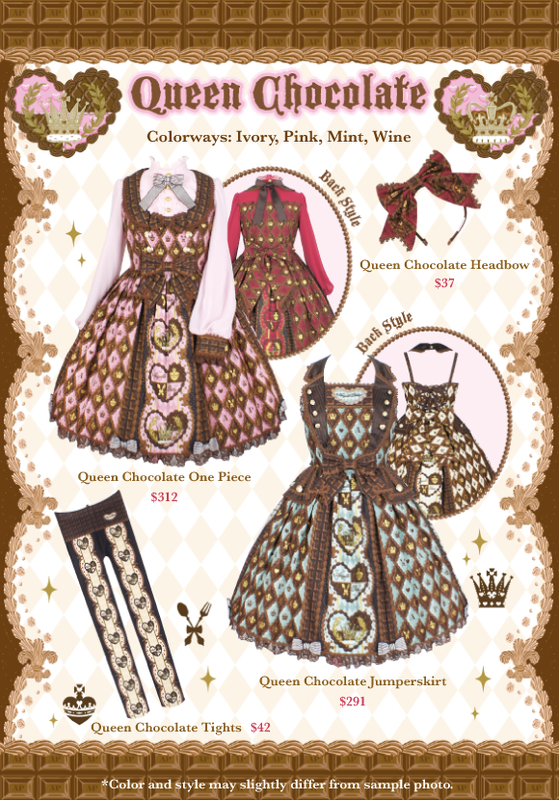 Queen Chocolate Launch & Halloween Item Restock! ❤️?Queen Chocolate?❤️ Series will be launched this Friday, 10/06/17 online at 12pm PST? This will not be a ticketed release. *No purchase of main garment is needed to purchase accessories from same series. *Can not purchase multiple of same style accessories. Restriction applies to both Queen Chocolate and Halloween Treats/Halloween accessories re-stock. Just in time for Halloween? 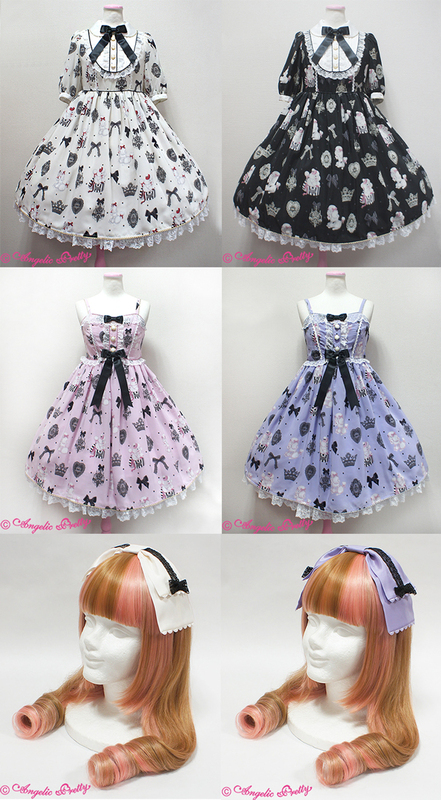 We will be re-stocking limited quantity of dresses and accessories from ✨?Halloween Treats?✨ series!!! Purchase restriction above applies to Halloween items so please read carefully before ordering. 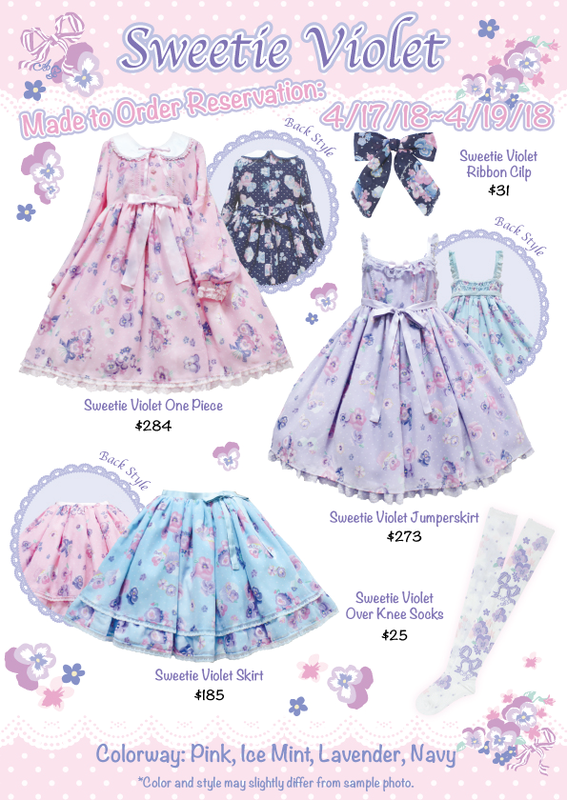 Frills and Bow Accents, Dresses for Casual and OTT! Looking for something more casual or even OTT without the busy prints? We have designs for both everyday styles to dresses for any special occassions. This is a simple cut with subtle polkadot designs. Wear it with or without a petticoat, this dress both casual and cute! More of a Pastel Fan? We have the Airy Pop One Piece (White, Sax, Pink, Lavender) which is great for someone who prefers sweet colors! This is a babydoll/high-waist silhouette and combined with the puff sleeves, gives it a more ‘cute’ look. 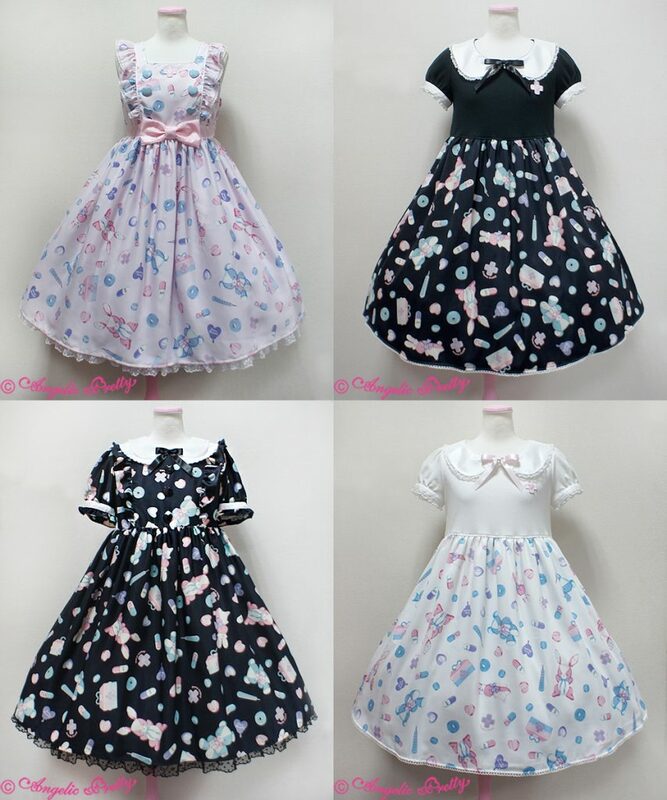 One of the newest series we have is the Classic Rose Doll One Piece (White, Pink, Mint, Navy) ! If you are eyeing something for the OTT look this dress has the ultimate Victorian-Inspired Princess design. Abundant of frills, lace, ribbons, and a rose corsage–what more can you ask for? Be sure to check out the matching accessories as well! Shopping around for a dress for that big day? 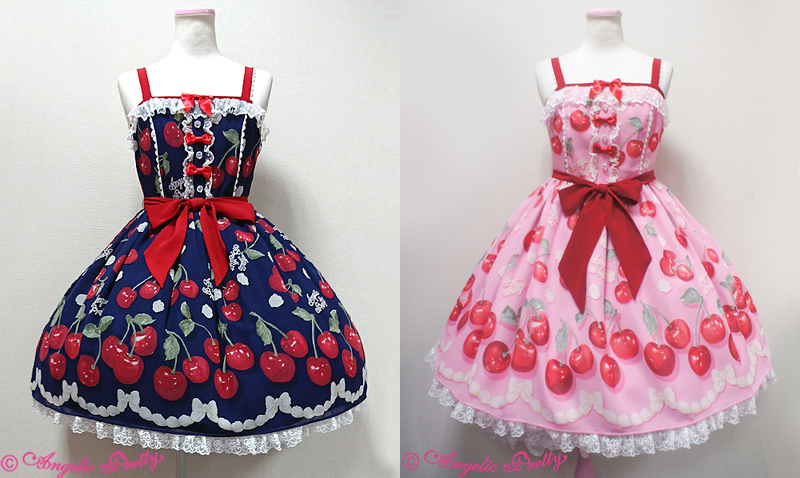 Angelic Pretty has been making many beautiful pieces that are great alternatives to a classic wedding dress! 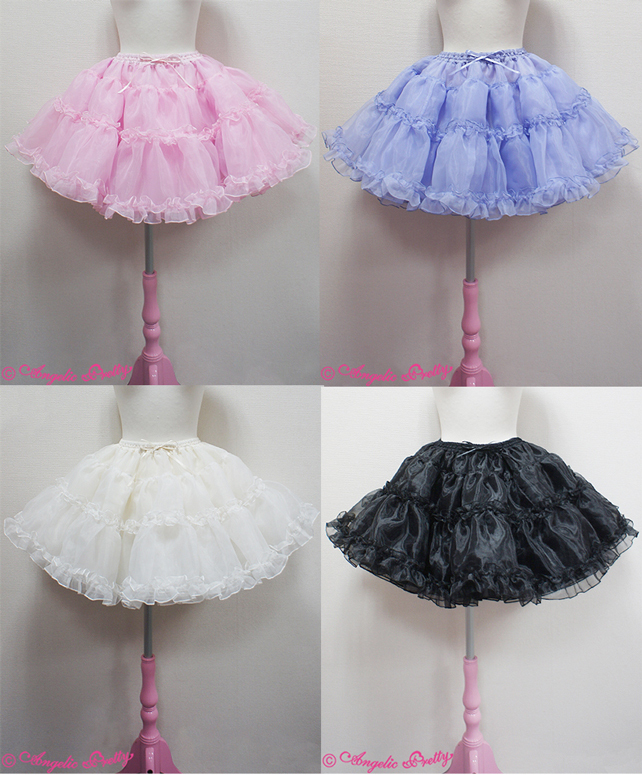 Angelic Pretty can make a girl’s dream come true through their extravagant designs. Special Sets and Re-Stock Items! The latest series Suya Suya Toys is now available online and in store as well as Special Sets! In addition we also have some re-stock some popular items so don’t miss out. Stock is limited. We just got a new shipment today~!! Our new shipment included the Milky Pony Carnival series (which will release tomorrow, 8/4/17 Fri) , new accessories & bags and re-stock of popular items!! We fully re-stocked the Mademoiselle de Paris series? Don’t forget to check out our SUMMER SALE too?